Life's a Beach | Expat Life in Playa del Carmen : Tickets Available Now for Taste of Playa !! This week, leading up to the First Annual Taste of Playa International Food Festival on September 5, 2009, an event that features some of the most talented chefs in the Riviera Maya, tickets went on sale at various locations in Playa del Carmen, Mexico. This exciting culinary event is open to the public and offers two ticketing options for attendees: Taste of Playa “pesos”, sold for 10 MN a piece, are general admission tokens that are used to purchase the culinary creations, portion by portion. The all-inclusive VIP Passports for 400 MN entitle the purchaser to sample all of the signature dishes offered by the participating restaurants and beverage participants, including one hour of a private tasting before the general public arrives. Both ticketing options are on sale prior to the event. Only the Playa “pesos” will be on sale during the event on September 5, 2009. General Admission is at 3 pm and VIP Passport holders will enjoy a special preview starting at 2 pm. Tickets are available for purchase at Hotel Tropical CasaBlanca on 1st Ave between 10th and 12th street or at Luna Blue Hotel on 26th between 5th and 10th Ave.
Over 25 of the region’s diverse chefs will come together on Saturday, September 5th to show both visitors and residents what makes Playa del Carmen a world class dining destination. The event will be located in the recently renovated city center, Parque Fundadores, from 3pm until 9pm. Organizers anticipate a tremendous turnout with the heaviest traffic occurring after 6pm. Taste of Playa is a community oriented culinary event that celebrates the creativity and diverse cultural influences of chefs throughout the Riviera Maya and promotes the unique culinary perspectives that have contributed to the cosmopolitan reputation of Playa Del Carmen. Playa del Carmen is widely recognized as one of the top vacation destinations in the world. The city has gained this distinction by not only celebrating and maintaining the integrity of the Mexican heritage but also by embracing and incorporating the cultural influences brought by visitors from all over the world. Corporate Sponsors include Buy Playa Real Estate Advisors and Bric International. 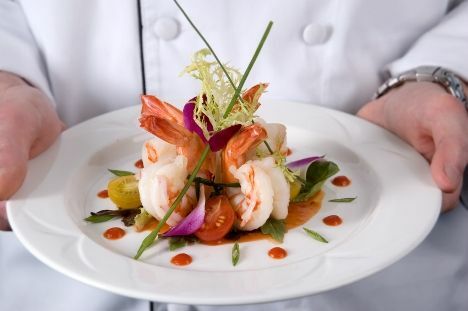 For more information, visit www.tasteofplaya.com. # re: Tickets Available Now for Taste of Playa !! I'm so sorry you are going to miss it! Maybe next year!? How was the event? any pictures from Taste of Playa? Are going to post them? I have bookmarked this site.